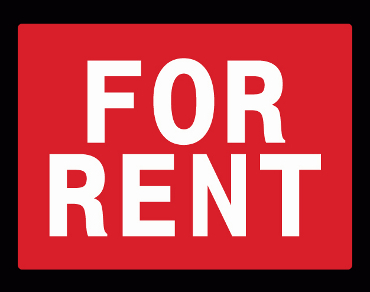 Need to rent for long or short term apartment in Udon Thani? It wasn’t so long ago that rentals market was very limited. Now, it’s expanding, and we have just completed our newest apartment building. Our Udon Thani rental units include standard and large size apartments, all of which have access to our salt-system swimming pool. You can relax for months on end on your own terms. Our features and inclusions are top notch, and the place has been built to western standards. This includes properly grounded electrical wiring, separate water and electrical meters per unit, and many other benefits. Udon Thani also features quite a few interesting destinations, as well as a nearby airport. Some travellers even rent an apartment from us, keep the majority of their luggage and belongings in the furnished apartment, and then tour the entire region, as it’s more cost effective, safe, and reliable an option. The airport is literally 10 minutes away, and offers ready access to the entire North and South East of Asia. As for local destinations, the red lotus lake a.k.a. Nong Harn is one of the most popular destinations among Thais. Rental is a superior choice to the many options a foreigner has while staying long-term in Thailand. It insulates you from fraud, and allows you to find out for yourself who and what you can trust here before you make a life-long commitment to marriage or retirement here. Often, some foreigners on pensions see the only track to retirement being affordable, is to marry a local, as it cuts by 50% the amount of cash needed to remain deposited into a Thai Bank. In doing this, part of the equation often becomes one of marriage, home ownership, a bank deposit, and immigration visa status. When you mix all of these together, it creates a scenario where you are paying in more than you are getting out of the situation. And, because foreigners are not allowed to actually own homes or land in Thailand, it creates an unfair imbalance. But if you rent an apartment or home long term, you are paying a fraction, often only 5% to 10% of what you would pay if you elected to marry, but a home, and keep money in a Thai bank. Money that could be used to obtain a Retirement Visa. After all, if you prefer to live a quiet, peaceful life abroad on an affordable, it’s best to keep things as simple as possible. With this in mind, a new market is opening up. Foreigners established here, building apartments for the use of other foreigners. Instead of homes, long and short term accommodations are being built. With them, the “wild stories” and countless instances of gossip are diminished. So far the Thai legal system hasn’t found a way to introduce obstacles to this approach, because it’s just not as prevalent as the wider trend of foreigners trying to “own homes and land by proxy of marriage”. It’s not the intent of this article to be negative or cast the situation in a bad light, but rather to describe a sensible solution, that would be of value in any country you are not a citizen of.